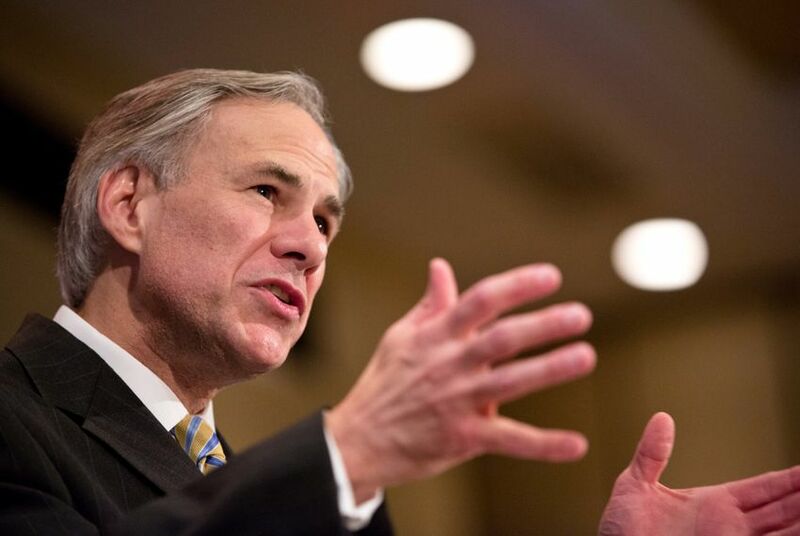 Attorney General Greg Abbott, the front-running candidate for Texas governor, on Thursday opened up for the first time about the legal settlement that guarantees him a six-figure yearly income for the rest of his life. Attorney General Greg Abbott, paralyzed by a falling oak tree in 1984, will receive more than half a million dollars this year from a legal settlement that guarantees him a six-figure yearly income for the rest of his life. Now the front-running candidate for Texas governor, Abbott on Thursday discussed the terms of his multimillion-dollar-lawsuit agreement for the first time in an exclusive interview with The Texas Tribune. His campaign also provided a copy of the 1986 settlement to the Tribune. Abbott, a Republican, said the money he will receive over his lifetime allows him to address the health and mobility challenges every paraplegic must confront. But he said he would gladly give it all up if he could regain the use of his legs. In 1985, Abbott sued the homeowner whose tree fell on him, along with the tree service company that had inspected the giant post oak before it crashed down on a windy summer day in July of 1984. Under the terms of a settlement he reached with the two defendants in 1986, Abbott receives guaranteed monthly income plus periodic lump sum payments — both of which increase over time to keep up with the rising cost of living. The monthly payments rise by 4 percent annually with compounded interest. This year, 29 years after the accident, Abbott receives about $14,400 a month. On Nov. 1, that figure will go up by about $500. On that same date, he’ll also get a $400,000 lump sum payment. All told this year, Abbott can expect to receive about $570,000 from the structured settlement, whose proceeds are tax-free and do not have to be reported to the Internal Revenue Service. Tax-free annuities are common in lawsuit settlements. In 1986, the first year the settlement took effect, he received a lump sum payment of $300,000 and began collecting monthly payments of $5,000. Today, using the federal Bureau of Labor Statistics inflation calculator, that first lump sum payment would be worth about $640,000 and the first monthly payment would be worth an estimated $10,600. Since 1989, Abbott has been receiving lump sum payments every three years. The last one, for $740,020, is due in 2022. Abbott recalled in the interview that the net present value of the settlement was roughly $3 million when the deal was struck in 1986, but that was based on a 20-year life span. He has already beaten that by seven years, so the value of his settlement has risen. All told, by the end of 2013, Abbott will have received $5.8 million in both lump-sum payments and monthly income. The total amount of the payouts won’t be known until Abbott’s death. Though the lump sum payments eventually cease, under the terms of the agreement, he receives the monthly income as long as he’s alive. If Abbott lives through 2022, when he will turn 65, he will have received another $3.5 million. That would push the total value of his settlement past $9 million, or about $11 million using inflation-adjusted dollars. Abbott’s lawyer, Don Riddle, received more than $1 million from the settlement, the document indicates. Abbott said he has relied on the money he got from the settlement to help him pay for nearly three decades of medical expenses and other costs associated with being paralyzed from the waist down. Though he has health insurance, he says the policies don’t cover everything. Abbott has faced criticism for supporting restrictions to lawsuits that critics say would make it hard for someone to get the kind of lucrative award he got three decades ago. The attorney general and former Supreme Court judge said a person facing the same type of injury he sustained would still have the same remedies available to him at the time. Beyond that, he said he doesn’t dwell on the lawsuit he filed when he was 27.